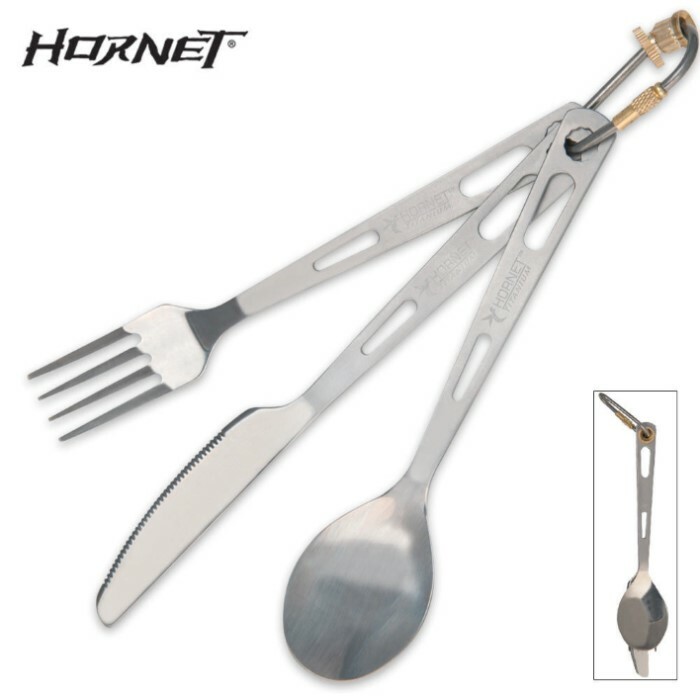 Hornet Titanium 3-pc. Utensil Set | BUDK.com - Knives & Swords At The Lowest Prices! This 3-piece utensil set makes eating at the campsite a whole lot easier. A knife, fork and spoon come on a carabiner for a convenient unit that easily comes apart for dining. 7 1/2" overall on carabiner.